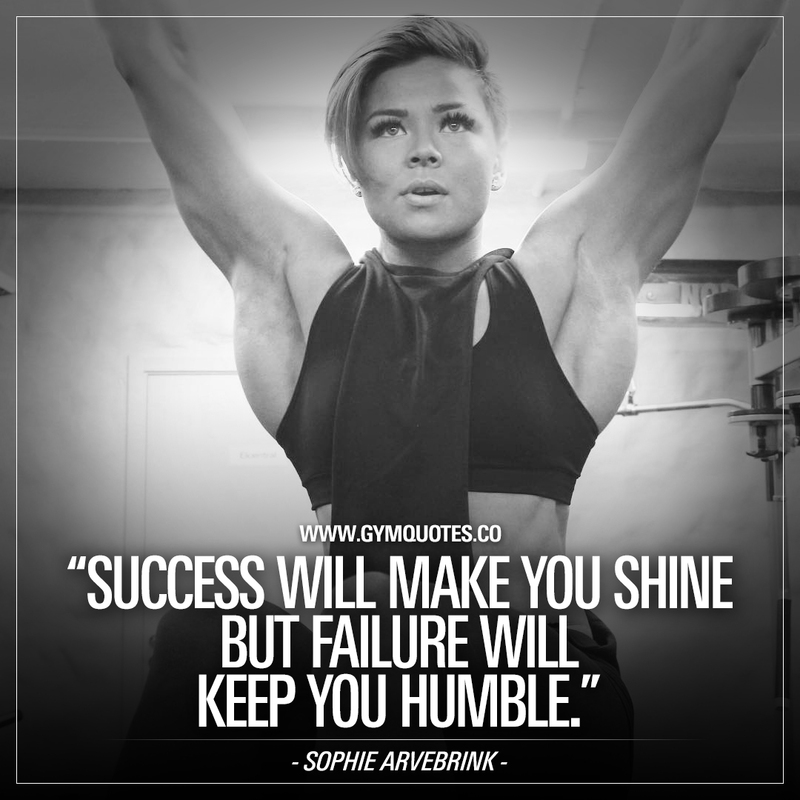 Sophie Arvebrink quote: Success will make you shine but failure will keep you humble. “Success will make you shine but failure will keep you humble.” – Sophie Arvebrink. Sophie Arvebrink is a beast and you should check her out! And always stay humble. No matter what.